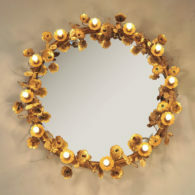 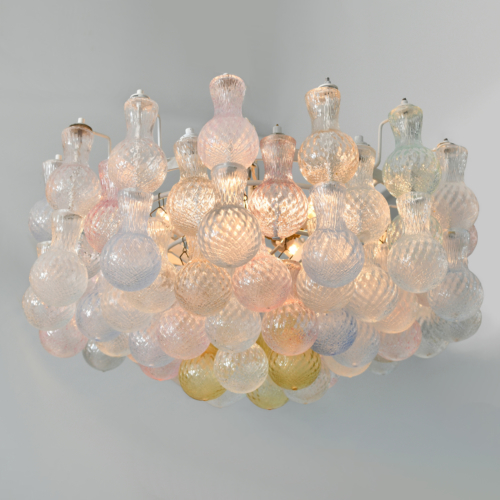 Magical Mid-Century chandelier by the famous Murano glass maker Seguso. 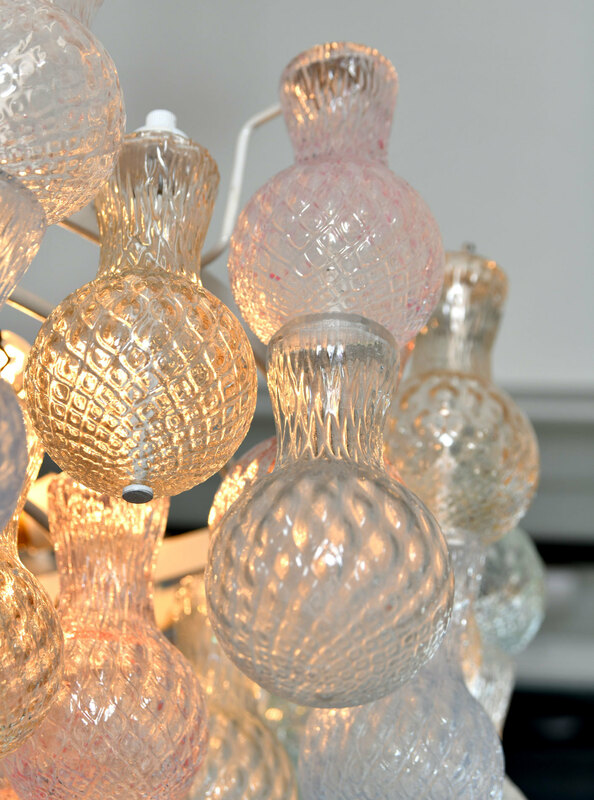 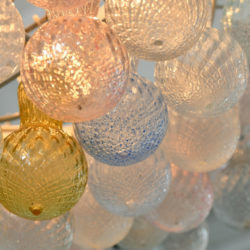 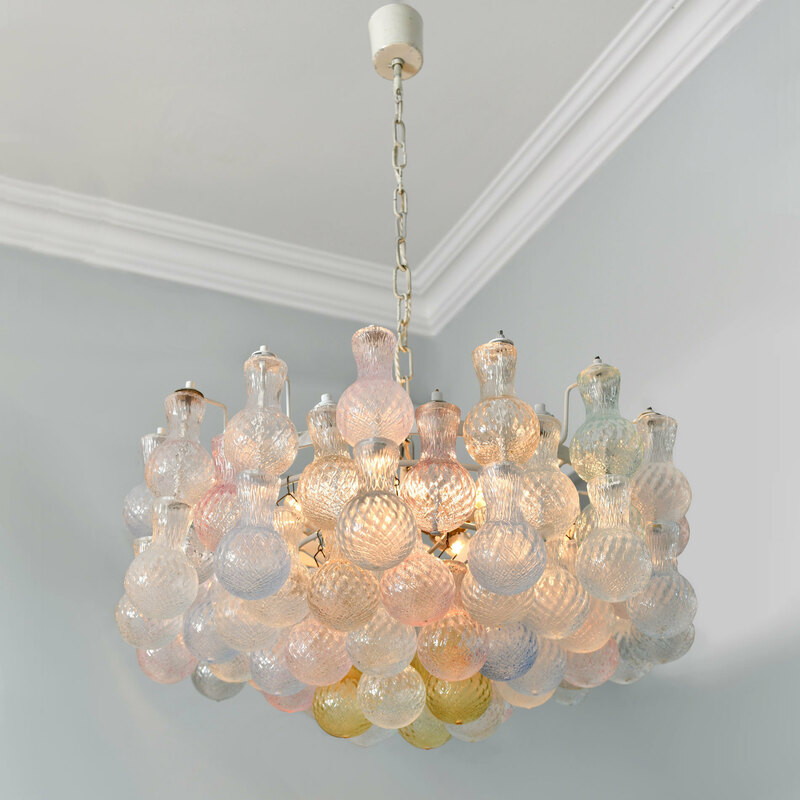 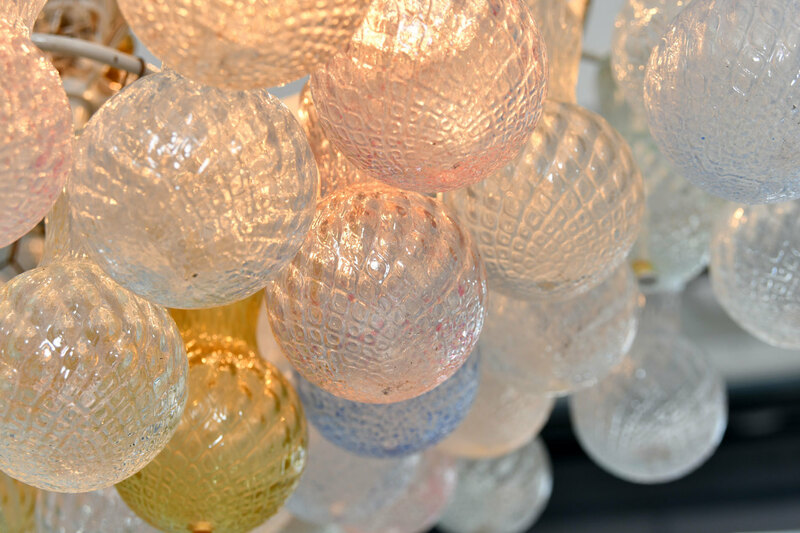 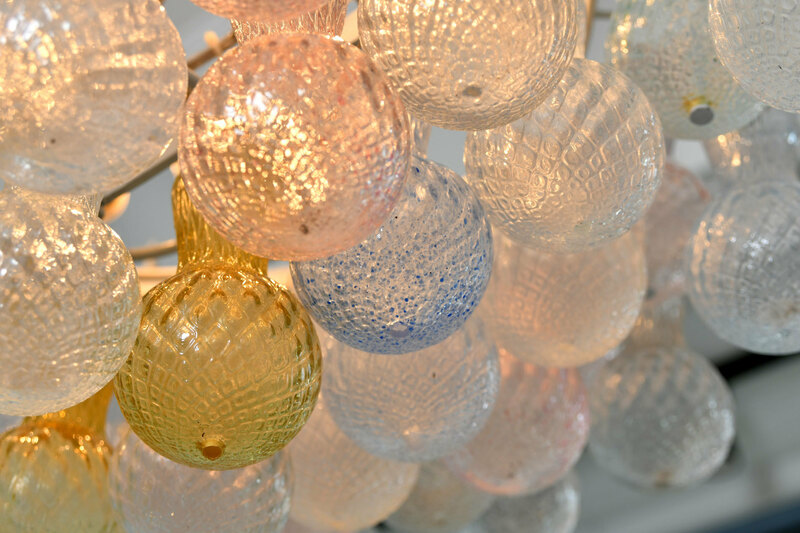 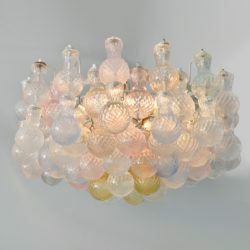 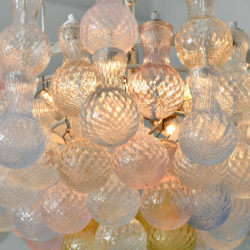 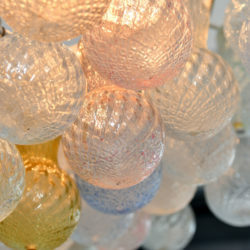 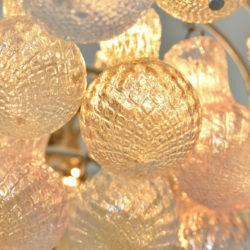 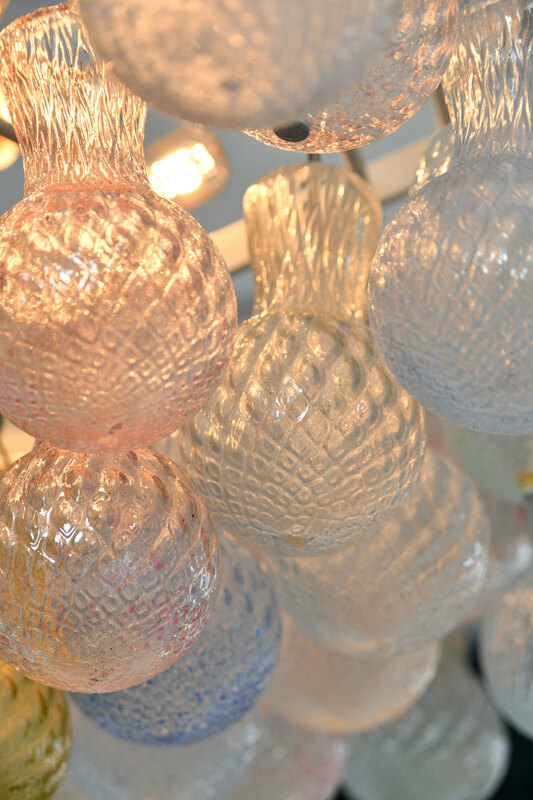 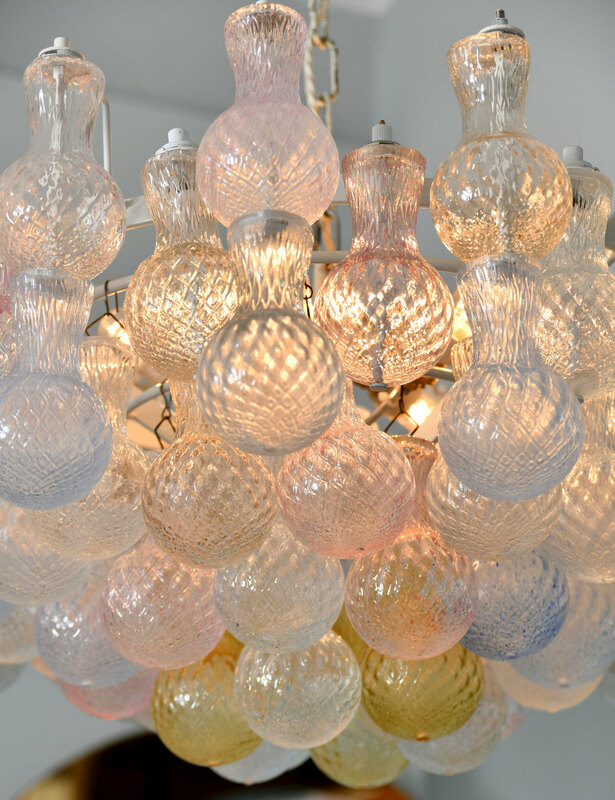 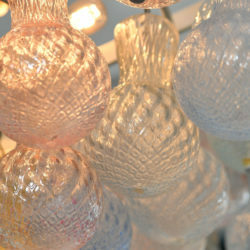 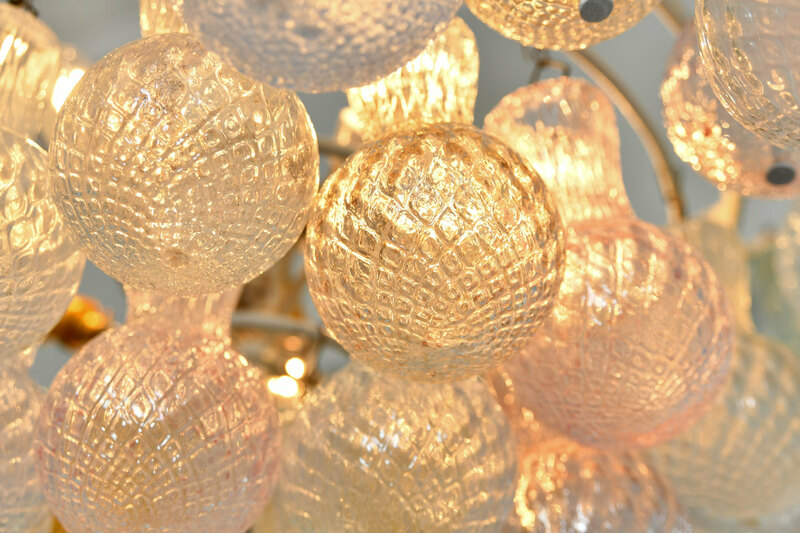 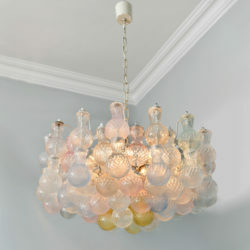 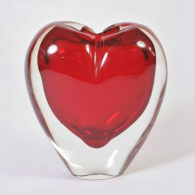 The four tiers of 72 textured handblown glass pieces are in subtle pastel shades of pink, amber, blue and white. 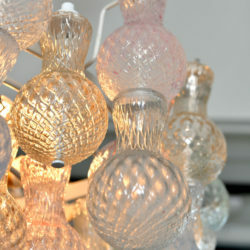 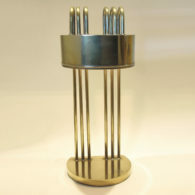 Eight lightbulb fittings, re-wired and PAT tested.